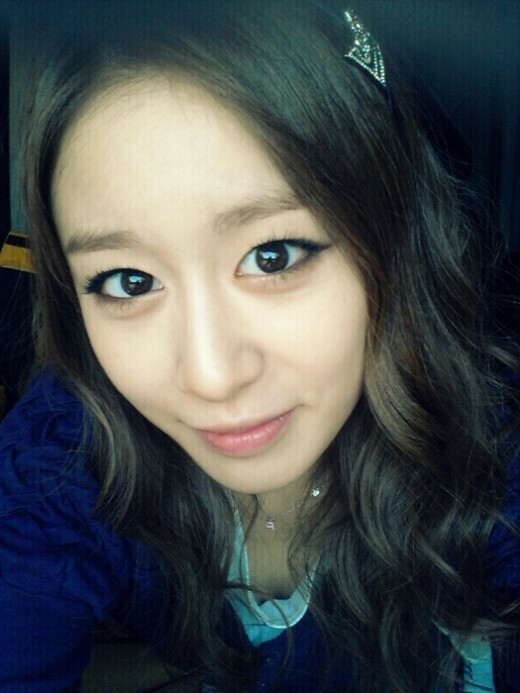 T-ara’s Jiyeon who is starring in Dream High 2 made public her self-luminous shining selca (self-camera) photo. On the night of February 18th, 2012, Park Ji Yeon tweeted “eye to eye” and uploaded a photo. In the photo, Jiyeon is using her big eyes to gaze clearly at the camera lens. In addition, the clean skin and the V-shaped hairline also make the beauty of Jiyeon shines, attracting people’s attention. Netizens who saw the photos said, “Jiyeon is really looking eye to eye,” “The self-glowing selca of Jiyeon,” “Ji Yeon is becoming more and more supple” and so on.